Weezy has been dancing and singing since the age of 16. His passion has always been dance and being in the entertainment field. Luis is a Phoenix native, born and raised. Luis has been creating a name for himself and the Phoenix dance scene for the past 15 years. Weezy has been a member of the Phoenix Mercury Hip Hop Squad for 12 years, and has been the Coach for the past 10. He is also part of the Phoenix Suns Organization as the coach of the Solar Squad (High Energy Hip Hop Dance Team). He has choreographed for other teams in the NBA like the Golden State Warriors, Denver Nuggets , and the Portland Trailblazers to name a few. Weezy was involved in performing and choreographing for the 2009 NBA All-Star Week, and 2104 WNBA All-Stars which were both held in Phoenix, AZ. Not only is Weezy the in-arena host for the Phoenix Mercury, but he became the voice of the Phoenix Suns in-arena host in 2011- Present season. Using this platform Weezy now Host events such as Charity auctions ( C200 Women , Phoenix Suns/Mercury), special event parties, weddings, Mitzfa's and more. Weezy has choreographed and hosted for many events in the valley, as well as out of state. At this point in his Journey Weezy has also gone back to his roots with music. He has been training vocally and working with producers to create original music and soon to be released content. 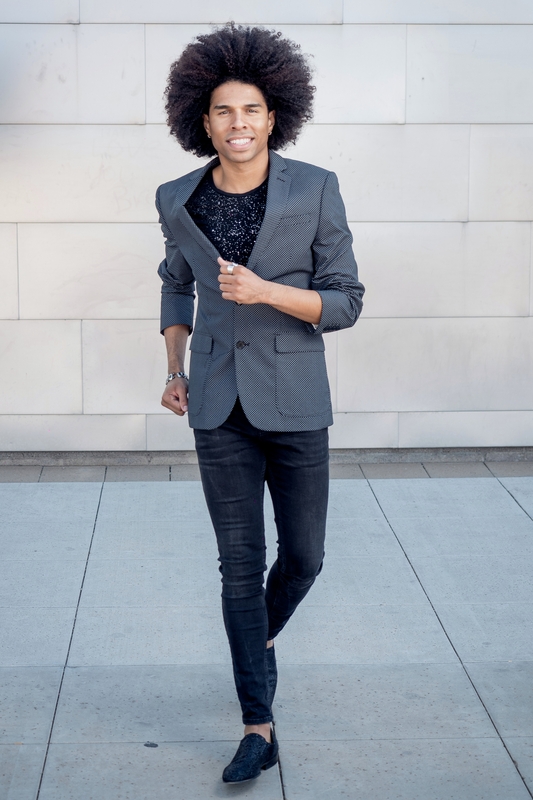 He has worked with artists like Pointer Sisters, Jade Johnson, Sya, Queen Yonasada, Renee, and Lashy through touring, live performances, and music videos. Weezy choreographed the opening for the Miss Indian Pageant 2006, held at Chandler Center for the Arts. Weezy is no stranger to charity work. He has worked with charities like the Phoenix Children’s Hospital, C200, Phoenix Mission, One Voice Community Center, MS Foundation, the Frank Foundation, and 1n10, to name a few. He has also participated in Phoenix Pride Festival, performing with music artists as well as female impersonators. Weezy has been brought in as a guest choreographer to numerous local high schools throughout the valley for national competitions. He has also instructed at many dance studios around the Valley of the Sun.